IGT is one of the few companies that are constantly getting world-class feedback, comments and ratings. This time, they got all of that for their latest release titled Wild Wolf. The game features wild symbols, scatters, and free spins. The structure is a little bit different compared to their other games such as Sumatran Storm, where ways to win are implemented instead of the paylines. To a surprise of many people from the online gambling community, IGT decided to go with 50 paylines, instead of their usual 10 to 30. What’s even more surprising is that all lines are optional and players may choose to activate 1, 5, 10, 20, 30, 40 or all 50 of them. Even though this formation is a little bit different, IGT managed to pull out an RTP at 94.97%, which is not bad at all. It is very close to the 95% mark and allows players to get a fair chance of making a profit. That equals to a $1000.00 maximum possible stake for one single spin. Even some experienced high-rollers cannot afford to spend that much on a single roll, but it is good that they went that high, as the minimum is already too much for the majority of low-bettors. Free spins in online slots are like pearls in shells. The machine is entertaining in the free mode, but free spins bring most of the value to the table because of all the cash you can obtain in the real money gameplay. Both have the same exact function except that green signs may only appear throughout the free spins feature. For gratis rolls to get activated, 3 purple scatters are required on reels 2, 3 and 4. Besides awarding 5 costless spins, the machine will also award an instant cash prize equal to x2 of the stake that activated the feature. There are two wilds as well, both with the same function of substituting for any sign except for the scatter. The only difference between the two is the design of the icon. Other than that, the wild is the best sign you can get in the game for one more reason and that reason is the multiplier it has. Five wilds on an active payline award x1000! At the maximum bet per line that equals $20.000! If you manage to land 5 wilds on more than just one line, rewards increase rapidly. If we are talking about high-rolling then we are talking about gaming online for real money. With the maximum wager standing at $1000.00 and the RTP at 94.97, high rollers and mid-bettors stand a great chance of becoming rich by playing this game. Of course, the risk is huge for most people who are gambling thousands in only a few spins, but so are the rewards. High-roller bonus should be claimed by anyone who’s intending to play the Wild Wolf online. The first deposit and matching bonus make sense for gamblers who are not planning on placing bets close to the maximum, while the no deposit is at the bottom of the priority list for this machine. It might be a better idea to spend the money you get from the no deposit bonus on a game such as already mentioned Sumatran Storm rather than taking a huge risk at a high-volatility game like this one. On the other hand, if you are lucky enough to get good combinations in a first few rolls, then money gotten from the no deposit addition might turn into hundreds, or even thousands. Even though lone wolves do great things sometimes, becoming a member of an online casino community is always recommended because of the jackpot rewards you might find. 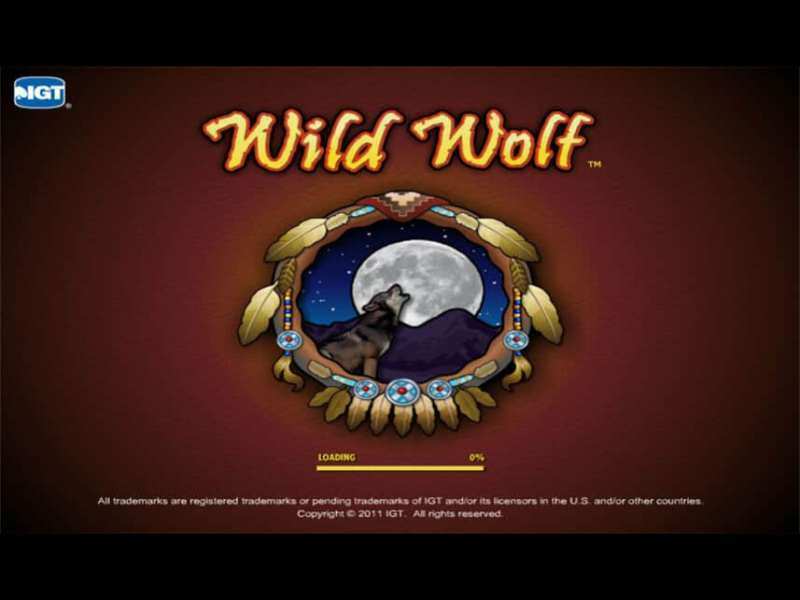 Play free Wild Wolf casino slot machine with no download and get the chance to win up to $1.000.000! That can occur when the entire table is covered in wilds, causing the machine to connect five wilds for 50 times, in case you are gambling at the maximum stake. It does not matter if you are from the North America, Asia, Australia, Africa, South America or anywhere in the Europe because the game is available to players from all around the globe and is licensed by the UK Gambling Commission. 0 responses to "Wild Wolf Slot"